Summer is soon upon us and I love to indulge in all the fresh fruit available during this season. This is a super easy recipe for a fruit salad. You can make it with any fruit really, and exchange the mint for any herb that better suit the selection of fruit. Peel the fruit and chop in bite sized pieces. Clean and separate the pomegranate seeds. 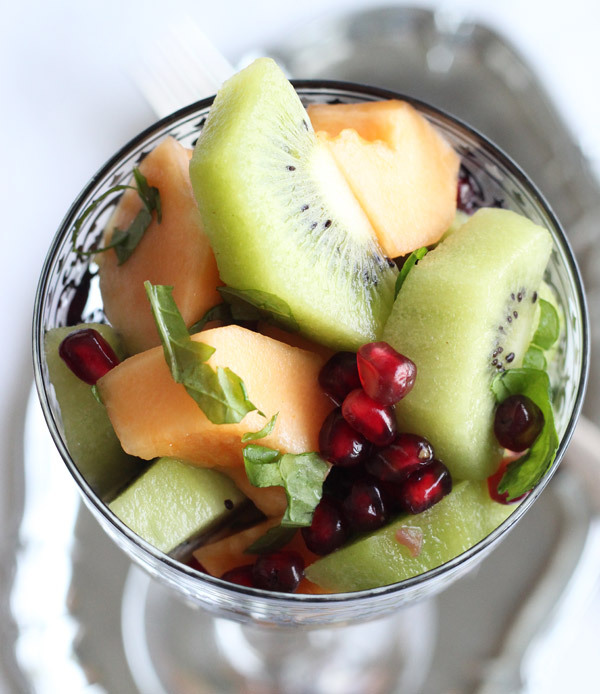 Mix fruits in a bowl, squeeze a small amount of fresh lime over the fruit salad, blend gently. 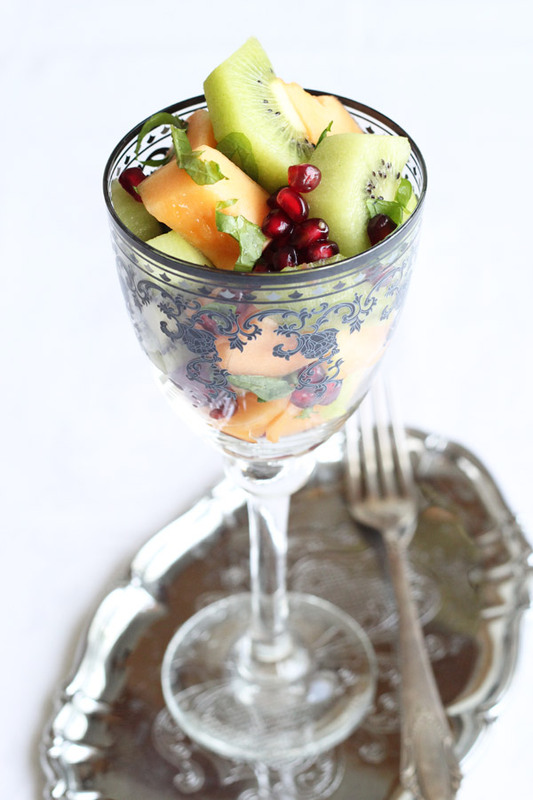 Serve in pretty glasses, garnish with extra mint and pomegranate seeds. If you want to make a grown up, less healthier version of this fruit salad make a coconut nectar sugar blend with a suitable liqueur (Cointreau would work well as it has a distinct orange flavor) and sprinkle on top of the fruit prior to serving.